She's beautiful. She's adorable. She's kind of Oliver's sister. This is a 1" wide collar that is available in your choice of rhinestone color and leather color. It has large rhinestones and vertically stacked pyramid spots between. 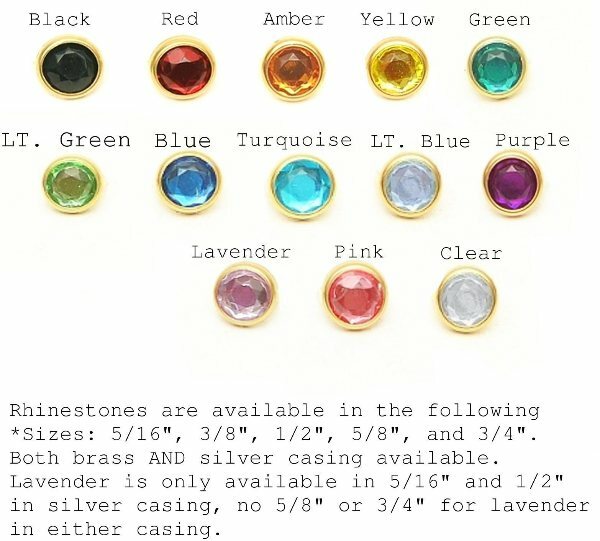 Now offering oval cabochons in place of the rhinestones for an additional cost. This option can be found in the menu below. Here are photos of our oval cabochons.